Star’s newest cushion combines a layer of contoured foam internal to each air cell to provide a shell of stability, and a secondary layer of skin protection. 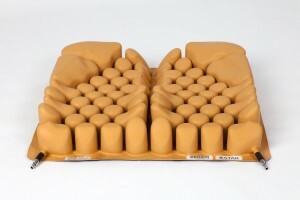 Star’s award-winning contoured cushion utilizes shaped cells to achieve a cushion that fits the anatomical form. 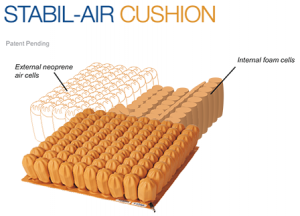 Star’s most therapeutic cushion allows a user to lock the transfer of air between virtually every cell of the cushion, providing the ultimate in positioning and stability from a cellular air cushion.